I have the good fortune of visiting Puerto Rico very often and having a lot of connections there, after living there for a year. I’ll probably be posting about it a lot so that you can have the best trip on the island as possible (I’ve already hosted a bunch of friends while living there and helped others plan their trips there since). Here’s some myth-busting and an introduction about what you can expect in my second home, Puerto Rico. I had the opportunity to live and work in Puerto Rico for a year, and it’s a place that is very special to me. I want people to enjoy Puerto Rico’s splendors, but I also think it’s important to bring awareness to the complex situation of this U.S. commonwealth. Puerto Ricans are US citizens. Its cosmopolitan capital, San Juan, is home to a mixture of Americans, Latinos, Europeans, Caribbean Islanders, and Asians. It is not a third world country, by any means. It has political parties with conflicting visions for the commonwealth’s future: some Puerto Ricans advocate for U.S. Statehood, some for independence from the U.S., and some would like Puerto Rico to remain exactly as it is. Puerto Rico is a true adventurer’s paradise, and a great first trip for people who want to explore more outside the continental U.S.A. It’s convenient, too! You don’t need a passport, the currency is the U.S. dollar, and Puerto Ricans typically speak a good mix of familiar English as well as Spanish. The people are beyond friendly, the weather is consistently great, and goods and services are inexpensive. Puerto Rico is big enough to explore, but small enough that you can see it all in one visit. I’d recommend renting a car and driving through the countryside, where the real treasures await. Puerto Rico offers a diverse landscape, including: mountains, beaches, caves, rainforest, and desert. You can go zip-lining, check out some beautiful architecture, and sample the delectable foods and exciting nightlife. I met so many people with different personalities, and from different walks of life. It’s a lot of diversity set in one small island. And everyone seems to live in relative harmony, it really feels like to be Puerto Rican is to have true brethren. Also, even though my Spanish was limited when I first arrived (and Puerto Rican Spanish isn’t the easiest to learn), I always felt welcome. Once I started making friends and my conversational Spanish improved, I really felt I had found my second home. San Juan gets many visitors from all over the world, and since it’s a small city, you always end up meeting a lot of new people. I’ve made great connections there with islanders and non-islanders alike. I also think that spending time in Puerto Rico provides a valuable lesson for a U.S. citizen, because it helps you to realize more fully how diverse your own country’s borders can be. The attitude change can especially be valuable for a New Yorker, since living in Puerto Rico forces you to learn how to slow down, relax, and appreciate what you have in the present. Aka acclimating and embracing island time, whether you like it or not (but how can you not like it?). Living there for only a year has profoundly affected how I view my life, now. Fefo’s or El Jibarito in Old San Juan for Puerto Rican food – try the mofongo/trifongo. Tayzan in Condado for sushi and other Asian food – try the sweet plaintain sushi. Café la Princesa in Old San Juan, for a nice date ambiance and a little bit of everything – try the seafood paella. Luquillo kiosks (in the beach area close to El Yunque) for Puerto Rican food – for even more seafood alcapurrias and pizza empanadillas (and many others)! Basically, a trip to Puerto Rico cannot disappoint. It’s a hospitable environment, with great weather, and with such a wide range of activities and adventures, there’s sure to be something for everyone. How could you go wrong? 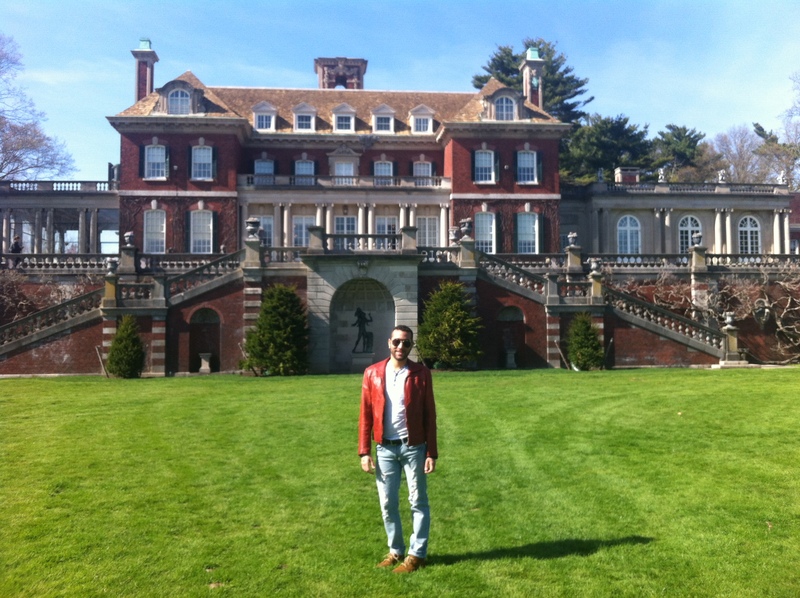 Sticking to the Gold Coast theme, I also had the pleasure of visiting Oheka Castle about a month ago in Huntington, NY. It is the second largest private residency in the United States at an impressive 115,000 square footage. It is no longer a residency, and is now converted into an upscale hotel and as a site to host special events such as weddings (Kevin Jonas and Joey Fatone both had their weddings here). Scandalously enough, I learned after my visit that the owner of the castle, Gary Melius, was shot 3 times in the parking lot a mere 3 days before my visit. I have lived on Long Island for the majority of my life, and have been around the area of these 2 estates several times, but never made it. Now I’m glad that I was able to put aside some time to explore my area more, which enriches my understanding of the history of Long Island and how it forms such a unique culture. Long Island is in the shadow of New York City, yet life remains very suburban and simple despite its proximity to the city. The island is massively overcrowded and traffic is an accepted reality of everyday life. The population is steadily on the rise, and in a place so starved for space it’s interesting to see the wide open acreage of estates such as this. We all want to be able to travel more, but what to do when we’re in the stages of saving money to travel again? Well I like to look for adventure locally in the meanwhile. I’m blessed to be from the New York City area, so there’s are plenty of options in such a small area. Many may not be as fortunate. However, adventures are what you make it and there’s always a place that you have overlooked for years or just postponed going to. On your days off when you don’t have anything to do, try and do one of those things! I made a list of places that I’ve been putting off for years and have been slowly checking them off. 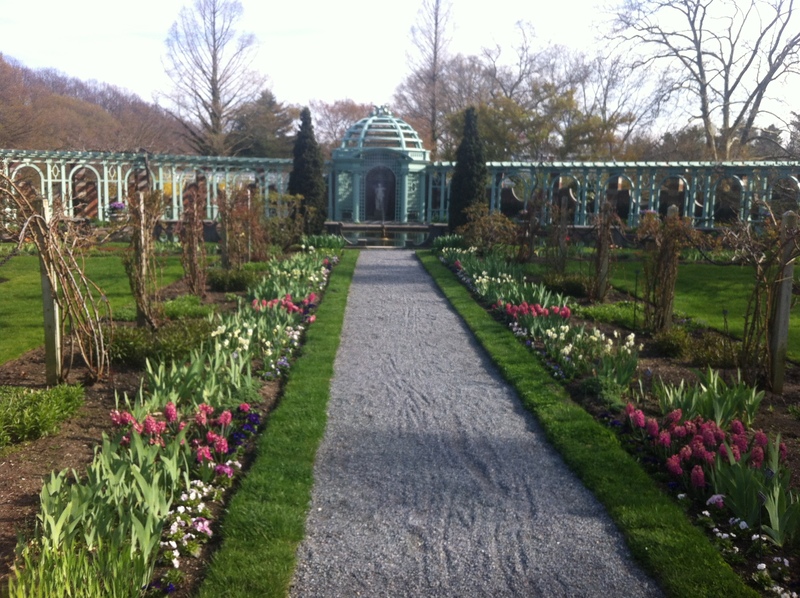 So yesterday I did one of those things and I drove a whopping 17 minutes from my house and went to the Old Westbury Gardens here in Long Island, New York. I even went for free thanks to a pass from my local library. 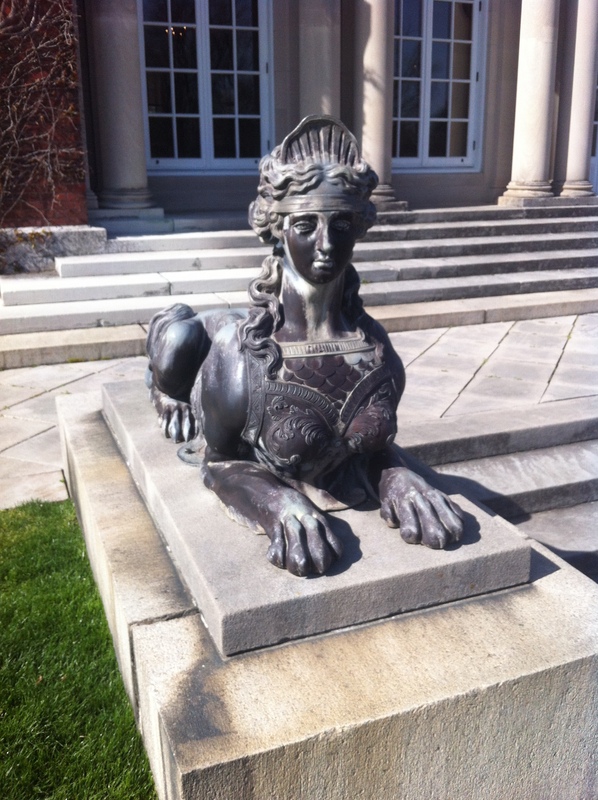 The OW Gardens houses a rather large mansion known as the Westbury Mansion which is a legacy of the Gold Coast era that developed in the late 1800s and peaked during the 1920s on the 16 mile stretch on the north shore of Long Island from Great Neck to Huntington. You may be familiar with this era through the classic book, The Great Gatsby. It is also the filming location of many famous films such as North by Northwest and Cruel Intentions. 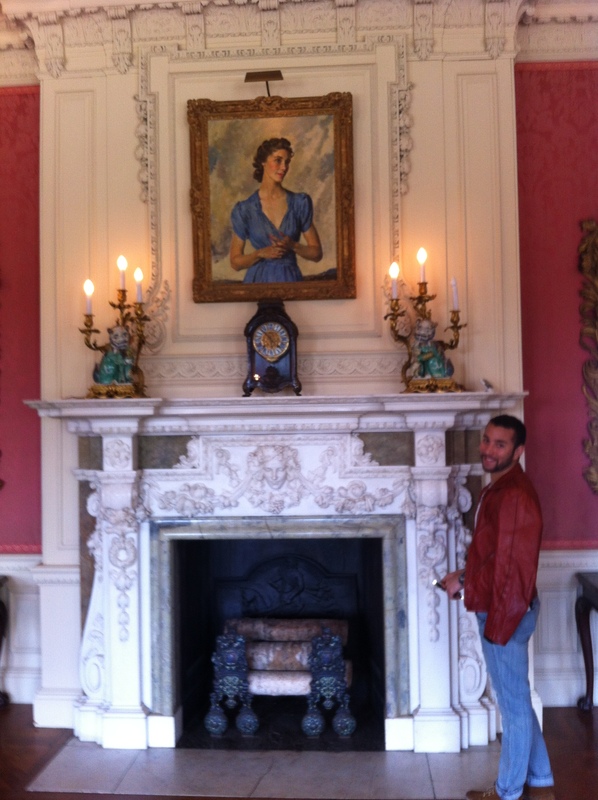 The mansion was gorgeous, filled many lavish pieces from the time period. What struck me as something peculiar was in this mansion-turned-museum they had mannequins in every room dressed as the previous owners would have, adding a more visual dimension to how these people lived in their wealth. The estate is a vast 160 acres and it has its very own lake and also many beautiful, expansive gardens. It boggles my mind that I was born and raised only 17 minutes from this opulence, but at the same time I could drive 17 minutes and be in the worst neighborhood in the South Bronx. Only in NYC my friends.